Great number. Hard for the Fed to ignore. 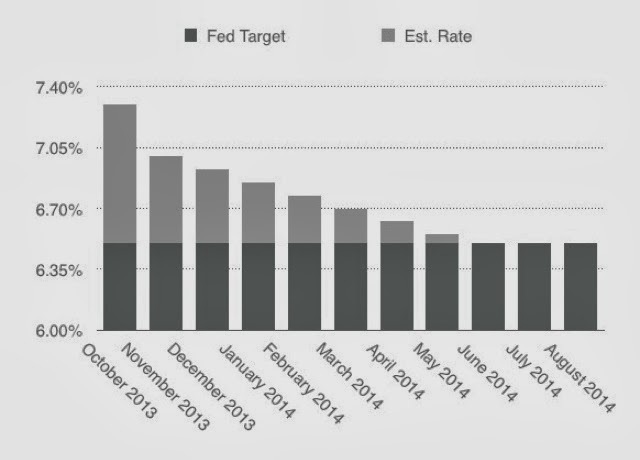 Based on the last few unemployment rates, the 1st half of 2014 looks like the time for easing of QE.